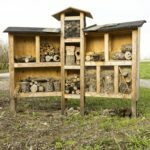 Home / Modern Pest Blog / Where do bugs go for the winter? Where do bugs go for the winter? 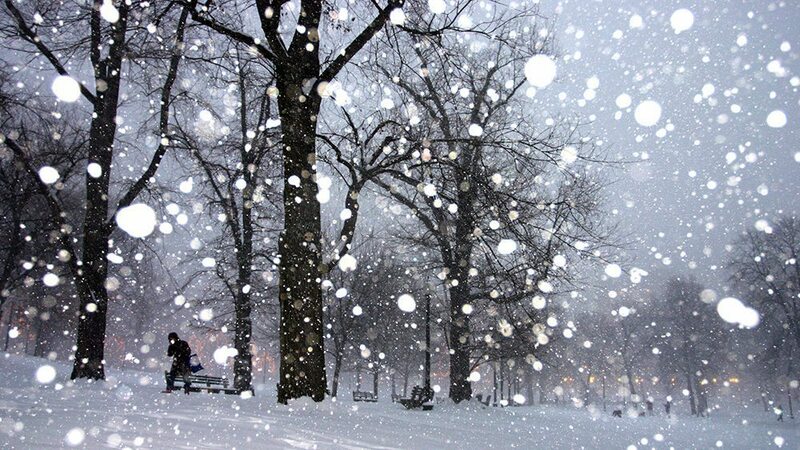 New England winters can be rather harsh, with sub-zero temperatures, high winds and of course snow! Sometimes lot’s of it. It is also the only time of year that New Englanders can find some relief from pesky insects, like mosquitoes, ticks, and wasps. Miraculously, as soon as the temperatures start to rise again, the ground thaws and the snow melts – then the insects come back with a vengeance. But where did the bugs go? And if it isn’t to Cancun, then how can bugs survive the frigid New England winters? Many adult insects will go into diapause, which is a fancy word for hibernation. Essentially, this means that the insects are in a state of suspended growth and some even create a chemical in their body (glycerol) that acts as antifreeze! But first, they must find a nice cozy place to seek shelter from the harsh elements, such as in the eaves of attics or barns, inside trees, under leaf litter, rocks, logs or even underground. Sometimes, they will even sneak into your home through tiny cracks and crevices (think Ladybugs). The snow also can provide some insulation to the ground cover and keep the temperatures more consistent for insects riding out the winter in lower areas. Many insects will overwinter and continue their life cycles as larvae, nymphs, eggs or pupae. They are also found protected from the harsh conditions of winter under leaf litter, rocks, logs, underground, in your home or even attached to food plant branches. Some larvae, like some insects, can also replace the water in their body with glycerol, to again act as antifreeze. However, nymphs of dragonflies, mayflies, and stoneflies, will stay active and grow all winter in water and streams beneath the ice. So these insects have the right idea – go someplace warm for the winter! 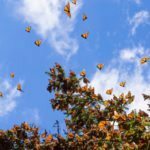 The best example of insect migration is the Monarch Butterfly which may fly as far as South America. Many crop pests will head to warmer southern regions for the winter as well. Cancun here we come! If you have found that your home has turned into an over-winter insect hotel, call the professionals at Modern Pest Services at 1-888-997-3312 or get an FREE quote for the comprehensive HomeCare Green program that controls 60 common pests, year-round – guaranteed!